Peggy Farren interviews photographer Dan Beauvais. Dan tells us how best to capture the amazing colors of fall foliage in New Hampshire. 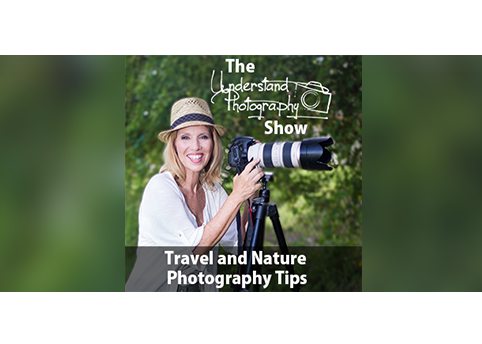 Thanks for tuning into episode #79 of The Understand Photography Show! Florida’s Forgotton Coast – Apalachicola area April 16-20, 2018 – sign up for the waiting list! PLAN AHEAD! Fall foliage is a big tourist business, some hotels are booked almost a year in advance! Be FLEXIBLE – if colors are not yet peaked when you arrive, drive a few hours north. If they’ve passed their peak, drive a few hours south. Be willing to wait for your best photos until the crowd thins out. What time of day is best for photographing foliage? Sunrise to sunset and everything in between. Get to the shaded bank of a river and shoot into the brighter color on the far side, the reflections create abstracts of color as the water swirls around the river rocks. Get under a canopy and look up – leaves glow when backlit from the sun. *Use a polarizing filter to remove glare from the leaves and make colors pop. -Be careful with a polarizer on a wide angle lens – only part of the frame will be at the 90 degree angle, the rest of the frame will look “off”. -In doubt about whether you need a polarizing filter? Hold it to your eye, turn it and see if it makes a difference. Overcast days are good for straight-on shots of leaves – a filter will still make a difference. Tripods – It will be worth it to spend the money on a good tripod and avoid collecting a series of less expensive ones that are poorly made and not as sturdy. Carbon fiber helps to dampen wind vibrations. Ball head – read reviews, try it out, get advice from a good camera store. Gimbal head – better for longer lenses but heavy. Use fast burst mode – group of 3 shots: first shot may have shake from pressing the button, last shot may have shake from releasing the button, but the middle shot should be steady. Never happy with images straight out of the camera. See you next week for episode 80!